THURSDAY, Sept. 11, 2014 (HealthDay News) -- Obese people may be more vulnerable to environmental food cues than thin people because of differences in their brain chemistry, a new study suggests. This finding could explain why obese people tend to overeat in response to food triggers, such as food aromas and advertisements, according to researchers from the U.S. National Institutes of Health. "These findings point to the complexity of obesity and contribute to our understanding of how people with varying amounts of body fat process information about food," Dr. Griffin Rodgers, director of the NIH's National Institute of Diabetes and Digestive and Kidney Diseases (NIDDK), said in an institute news release. 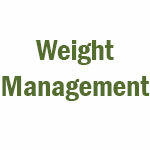 Griffin said this knowledge might help design more effective weight-loss programs. Eating may be less rewarding and more of a habit for obese people due to differences in dopamine activity -- a chemical messenger in the brain that affects reward, motivation and habit formation, the study author said. Although the study's findings do not show a cause-and-effect relationship between obesity and dopamine activity in the brain, the investigators said future research will examine changes in dopamine activity as people's diets, weight and level of physical activity change over time. The study, published in the Sept. 9 online edition of Molecular Psychiatry, involved 43 men and women. The study participants followed the same schedule for eating, sleeping and activity. They also completed questionnaires about how they responded to environmental triggers and about overeating. Brain imaging tests helped the researchers to see which parts of the brain were involved. The researchers found those who were obese had increased activity in the habit-forming part of their brain and reduced activity in the area that controls reward. "While we cannot say whether obesity is a cause or an effect of these patterns of dopamine activity, eating based on unconscious habits rather than conscious choices could make it harder to achieve and maintain a healthy weight, especially when appetizing food cues are practically everywhere," the study's lead author, Kevin Hall, a senior investigator at NIDDK explained in the news release. "This means that triggers such as the smell of popcorn at a movie theater or a commercial for a favorite food may have a stronger pull for an obese person -- and a stronger reaction from their brain chemistry -- than for a lean person exposed to the same trigger," Hall said.